SKU: clrelitebars. Categories: Bars & RTDs, clearance. Best by date 12/2017 – checked for quality. Best if microwaved for 8 seconds. 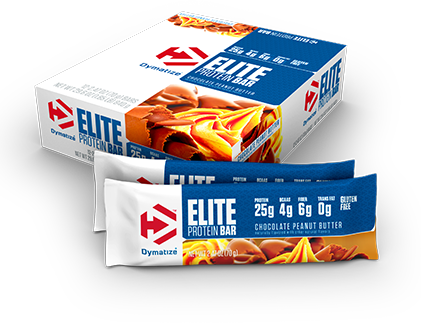 Dymatize Elite Protein Bars are a delicious way to help you get your protein requirements both in the gym or on-the-go. Formulated with a combination of fast-absorbing and slower-digesting proteins, these bars can feed and nourish muscle to help you achieve your biggest fitness goals. 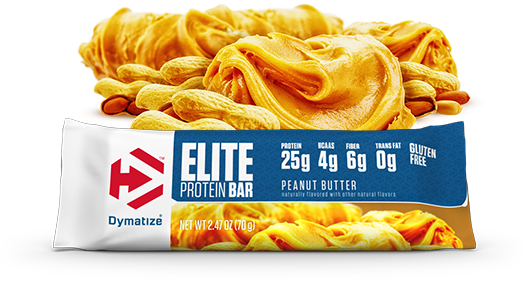 Elite Protein Bars contain the amino acids necessary to support muscle growth, whether you are looking to support a specific training program or you simply want a high-quality protein snack. * Add in the amazing taste you’d expect from Elite 100% Whey™ Protein and it’s the perfect bar to enjoy anytime, anywhere your fitness inspired life takes you. At least 25g of high-quality Elite Protein blend. Great source of daily fiber.